The garlic scapes are coming on strong in the garlic patch right now! 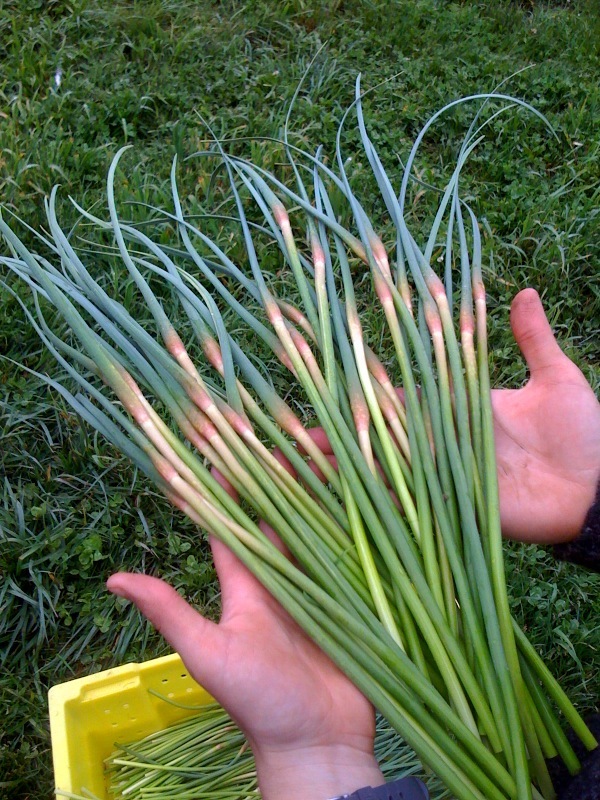 Scapes are the stem-like flower stalk of the garlic plant, and they are delicious raw or cooked. Chop them up raw for a salad topper or sautee them in olive oil until they brown slightly and serve over pasta. Or if you’re feeling more creative, try this Garlic Scape Pesto recipe! This entry was posted in produce, recipes and tagged farm, garlic, garlic scapes, pesto, produce, recipe. Bookmark the permalink. 2 Responses to Scapes are in! I used the recipe today, which worked well. Powerful stuff! The scapes I used were way spicier than the kind I had used before. Do you know what makes some have more zip?